A modern swing one of the most well known teas. 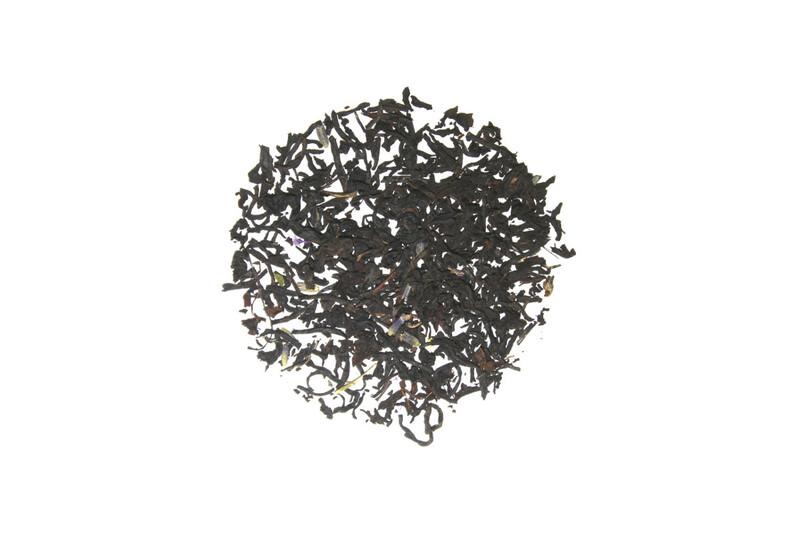 A whole leaf black tea with blue mellow blossoms, lavender flowers, and a hint of bergamot. If you have ever wanted an Earl Grey that is light on the bergamot, this is without a doubt the tea for you. A touch of milk will provide a smoother flavor. i hate earl grey but LOOOOOVE this tea! Out of the 4 teas we had we started with this one ... it ruined all the rest because it was SO good. The smell alone will knock your socks off. What a beautiful tea! As I said my Instagram : I tried it with and without sugar and the taste of the tea is nearly lost in the sweetness (but it may be because I put like an entire tea spoon of sugar in). Without I could enjoy each hint of lavender, but at least with the smell isn't.